OnePlus 7 is one of the much-awaited smartphones this year as the company prepares to launch a 5G phone and television as well. A video with renders of the upcoming OnePlus flagship has been spotted on YouTube. 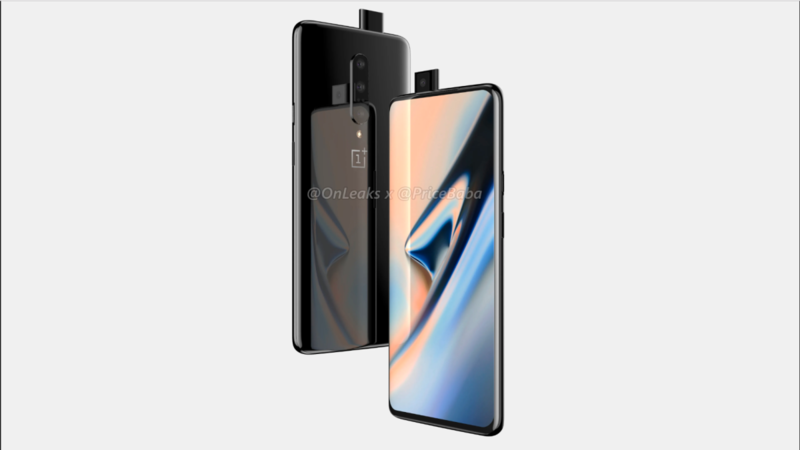 The video shows render of the OnePlus 7 in four colors while the design is in line with earlier leaks. It will be one of the first phones to be powered by Qualcomm Snapdragon 855 and is rumored to have a pop-up selfie camera. According to previous reports, a case for the OnePlus 7 was spotted in the wild with a barely visible cutout on top, which is the optimal place for housing the pop-up camera. The OnePlus 7 could have three cameras on the back but certainly won’t support wireless charging as was suggested by company CEO Carl Pei. There are rumors that the upcoming OnePlus smartphone could support upto 12GB of RAM and 256GB storage. It is expected to feature a 4,000mAh battery which will support 44W WarpCharge. More details will be revealed as we near the launch of the OnePlus 7 and we’ll have more for you then.